If you thought your summer lipstick collection was ready to go, we’re here to inform you that you’ll want to add a few more to your lineup. Because regardless of whether you prefer natural shades or vibrant ones, MAC’s latest collection is too good to pass up. MAC’s Oh, Sweetie Lipcolour Collection is a decadent array of scrumptious new lip shades in a whipped, mousse-like texture that will make you feel like Princess Frostine visiting Candyland. 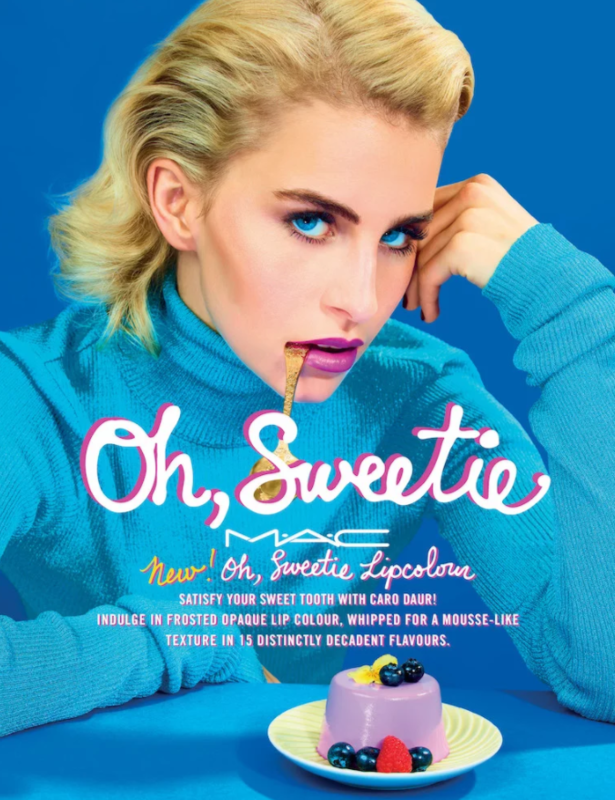 With high-fashion darling Caro Daur as the MAC x Oh, Sweetie Lipcolour collection’s spokesmodel, you won’t be able to resist the pastry-like flavors. There are 15 lipstick shades to choose from. Although, if we’re being honest, they’re all so stunning that picking one feels like an impossible task. MAC has been diligently working hard at multiple different collaborations, like the MAC x Nicopanda collection, and the upcoming Aaliyah collection, so it’s a real treat to see the brand dream up a new, stand-alone collection with unique shades and textures. 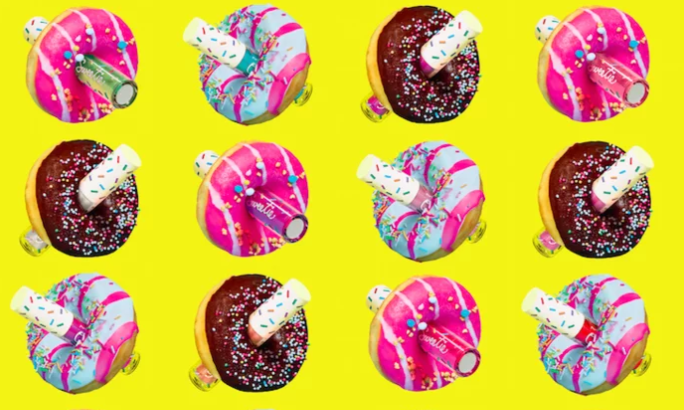 It has everything from funfetti-bright to frosted opaque hues for all your summertime fun. The MAC Oh, Sweetie Lipcolour collection will be available online on June 11th. 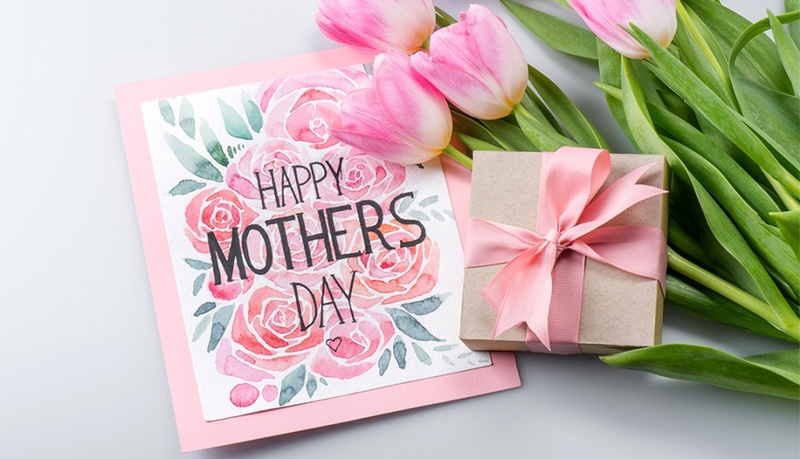 The collection includes: Funfetti Cake; Gumdrop; Creamy Peach Pie; Raspberry Pavlova; Sugar Cookies; Purple Panna Cotta; Banana Muffins; Strawberry Mousse; Raspberry Cream; Death by Chocolate; Coconut Macaroon; Caramel Sugar; Strawberry Torte; Key Lime Trifle; and Wild Berry Frosting.